Finally , i have finished re-arrange all labels of my existing posts and created a new recipe index page (Thanks to Wendy for her guidance). When i see this recipe gallery in this new page, i just realized that i have cooked and baked so many foods, like a recipe map!! Feel free to have a look on my new recipe index (on the top page) and try to click here and there (give comment if any), Xie Xie , Terimakasih and Thank you..
Last two weeks i made two Birthday cakes for my niece and nephew, one was Tiramisu cake for Birthday boy, another was this Jelly Cake﻿ for Birthday girl. I got this idea from Eileen's blog. 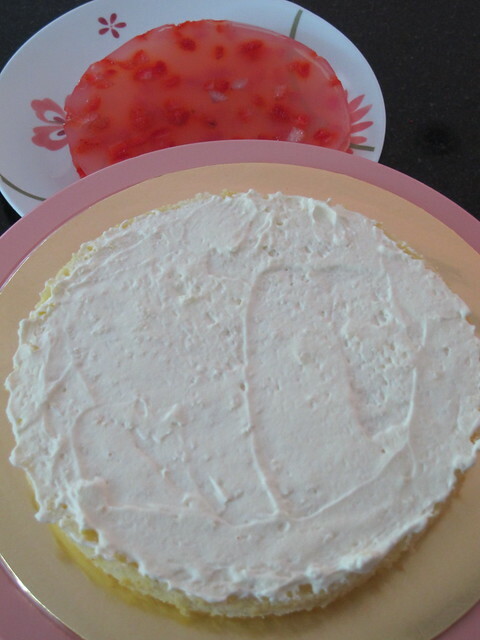 I got the idea from Japanese drama "Midnight Canteen" on how to decorate this cake, it look simple and elegant for me. But my sister complainted why nothing at the sides of the cake and look so plain, hahaha..And she also said the cream look so untidy, i know i still have to improve my frosting skill. 1. Mix water, sugar, agar-agar powder and instant jelly powder in a saucepan, stir well. 2. Cook over medium heat till sugar dissolved. 3. Pour the jelly liquid into a 35.5cm x 28cm (11”x14”) square pan. 4. 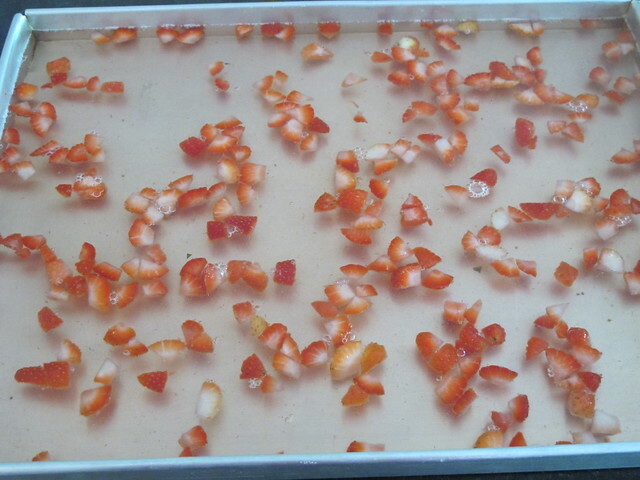 Sprinkle strawberry cubes and add a drop for red colouring into the jelly liquid. 5. Set aside to cool and set. 6. Cut out two 7” round jelly layer. 2. Spread evenly a thin layer of whipped cream, top with a jelly layer. 3. To continue spread evenly a thin layer of whipped cream, place second piece of sponge, spread evenly a layer of whipped cream, top with jelly layer. 4. Top with last piece of sponge cake, frost the whole cake with whipped cream. 5. 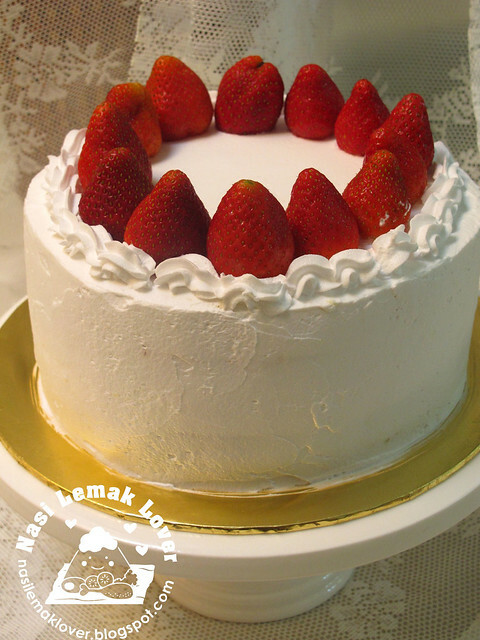 Decorate with strawberry or your own choice of decoration. My sister sent me this photo (taken using her phone), have a look the inside of this cake..
sedapnya Sonia..dapat bayangkan:) dan kek yang Sonia hias ni sama seperti yang di jual di kedai...Cm selalu gagal untuk menghias kek..
You have a demanding sister who will push you to do a better & better job in the future, haha! If my hubby complains to me, I will make him to eat more, hahaha~ This is a good idea for a cake. Very refreshing! 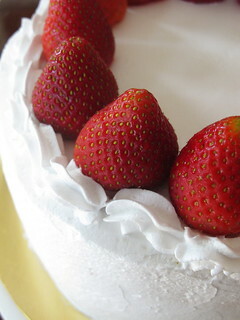 Typical Jap strawberry shortcake look like this. I find it simple and elegant. The layering is very neat. there is one more type of jelly cake where the jelly is on top. Sonia, your frosting skill is good la. Wait til your sister sees mine.. sure she laugh until kekeke. You have been baking a lot of badly cake lately. Sudah handal bikin bday cake...hehe... I'm so busy lately, can't really concentrate in my kitchen. When are u going to own a bakery shop huh? Hi sonia, it looks yummyyy.. 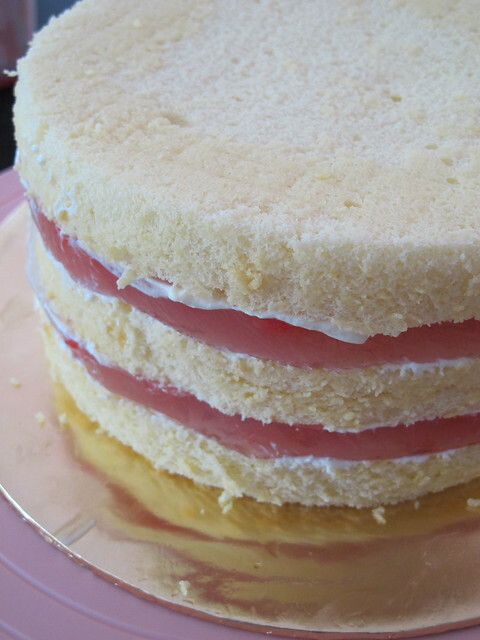 Very pretty jelly layer cake, I wish I can try it out one day, hihi! that looks amazing!! I love the layers- wonder how the texture tastes like. MUST be fabulous with the sponge, and jelly.. and surprise strawberries! NICE. Your layering cake looks very pretty! Can I have a slice? For me that birthday jelly layered cake is very impressive...i like it. Sonia, thanks for your advice from your basic sponge cake. But I didn't try it. I scared I would fail to mix the egg white portion. Phai seh. but I will take the challenge to bake like yours in no time. Wow jelly layered cake love the idea.Its simple and looks very inviting. Your layered cake looks yummy and shows you've put in a lot of effort to make this. Your cake looks really fantastic! Great work! Your cake is beautifully decorated. this is a good idea to sandwiched jelly in between the cake, thought usually the jelly is at the top of cake. 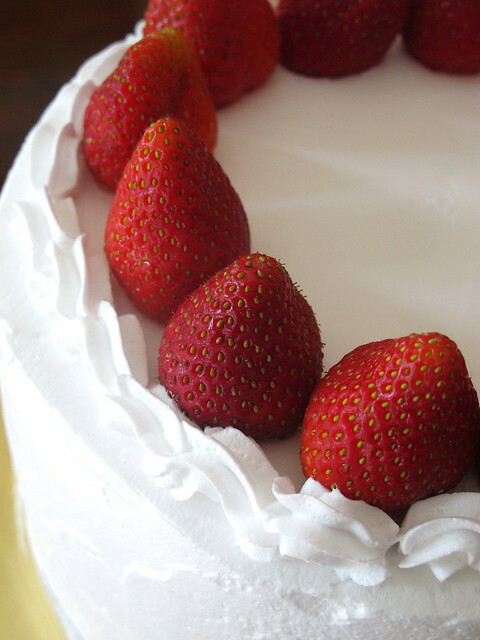 Your cake layering is so neatly done.Like the strawberries, they look so fresh. I bet your cake is very delish!! Your cake looks wonderful! Jelly layers tends to make me "shake" but will try your recipe sure. Mel and SSM, drop me an email if you like to learn how to create this page.. I didn't do much la except to direct u to the widget's source. Anyway, thanks for mentioning me, very kind of you. hehehe. Ur cake looks good la. Truly enjoyed seeing your recipe index and I have one word: you are a really amazing home cook. Honestly you can do way more than just being a home cook, Sonia! You continue to inspire a lot of home cook like me. So fun to browse around. And this cake, my gosh, jelly layer? I've never heard of it and it looks AMAZING!!! oh Sonia look absolutely beautiful!! Sonia, I like the simple frosting, it's neat and clean! This cake is so pretty! I like your frosting, don't look messy to me. Cantik! Cantik! Sonia, the cake layers really looks so nice and delicious, must try it next time! Love your new recipe index, very nicely done up! This cake is so interesting. Never had jelly on top of cake (except for a cheese cheese)... and didn't know it can even be done! sonia, yes, it's simple and yet elegant! 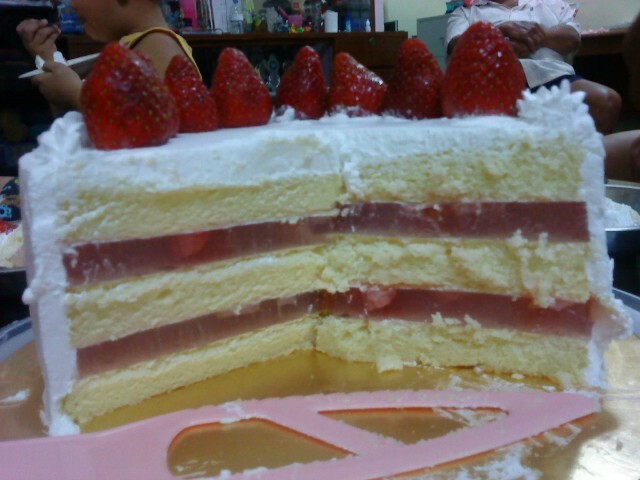 reminds me of those thailand layer cake which also comes with sponge base and a layer of jelly! now i see your pantry, very informative and good reference. wow Sonia!! Your cake is so beautiful!! Your frosting is pretty neat too!! great job! 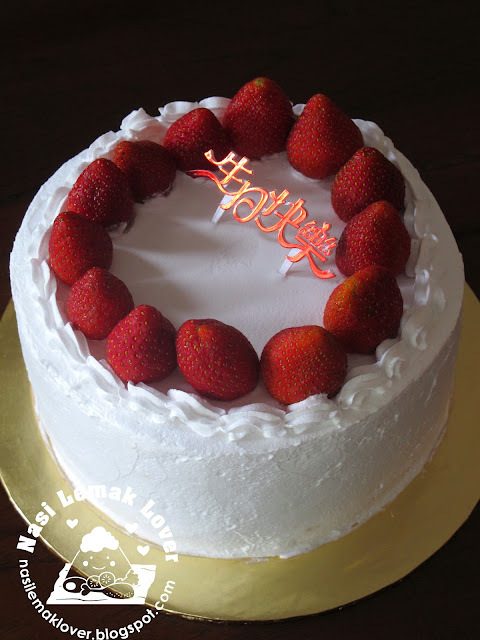 Loh Emily, you can slice cake using a special tool- cake divider..you may refer to my previous post as i share the steps of how to prepared whipped cream. 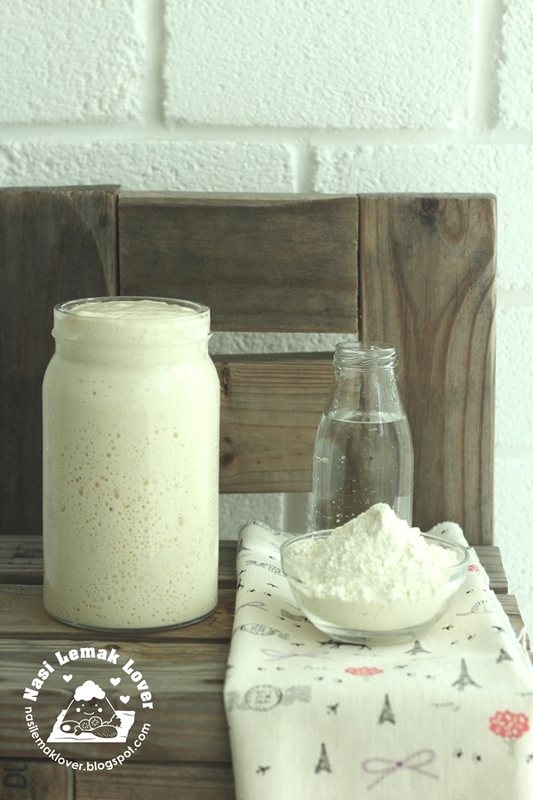 hi, im gen. been following your blog for your cake recipes - love them! May i ask, whats the difference between agar-agar powder and instant jelly powder? i thought they are the same? Hi Sonia, I stumbled upon your post when I was thinking of what cake to bake for my mum's birthday. I was sold when I saw the inside of the cake! I made it last weekend and it was a hit with the family. But there was one big boo boo for me - the bottom tier of the cake slid out during tranportation. I think cos the jelly was too slippery. Did you "scratch" the jelly so that the layers will stick? Hi, can I replace the instant jelly powder with gelatin? Adrine, no I did not scratch the jelly but I spread every layer with cream. Joavnne, no Don't replace with gelatine, as gelatine will give you difference texture , totally difference from jelly . Would like to check with you, is Bake King Instant Top Jelly the same as instant jelly? Thanks for sharing the wonderful cake recipe =).